Security expert Abloy UK has recently received a number of accolades for its work in the healthcare sector, with positive feedback from the Care Quality Commission (CQC) on its PROTEC2 CLIQ solution. In addition to this, Abloy PROTEC2 CLIQ, in partnership with Northern Lincolnshire and Goole Foundation Trust, has been shortlisted for the Heath Service Journal (HSJ) Value in Healthcare Awards 2015, in the Value and Improvement in Information Technology category. Abloy PROTEC2 CLIQ is an easy to use web-based access control system that uses mechanical high security disc cylinders combined with highly encrypted electronic locking and identification. The positive findings from the CQC were featured in a quality report of Birmingham NHS Foundation Trust’s Queen Elizabeth Medical Centre in Birmingham, in which the centre gained an overall rating of ‘Good’, with services at the trust being led to an ‘Outstanding’ level. The ‘Innovation, Improvement and Sustainability’ section of the report states there was a strong innovation of culture at the centre - an example of this being the drug key system on trial on the assessment units, which is PROTEC2 CLIQ system. It had been identified that significant nursing time was spent getting access to the drug cupboard key, leading to poor key control and ineffective use of nurse time. With the implementation of the PROTEC2 CLIQ system, each member of staff on duty had an electronic key that was linked to them, and provided audit trails and restricted access to certain staff when skills and competencies had not been achieved. 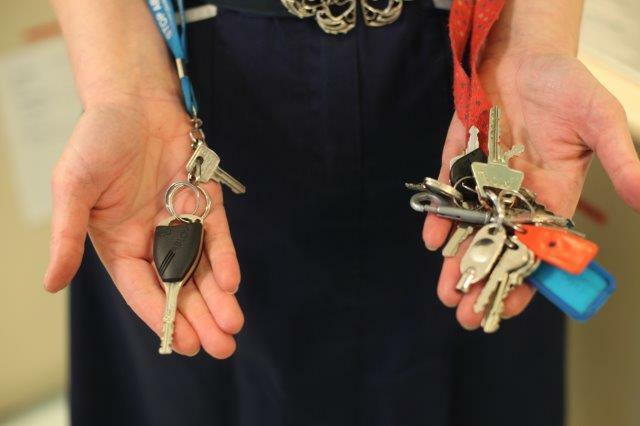 This resulted in less time being spent looking for keys meaning greater nursing efficiency, and also improved key control with access rights to certain areas being regulated more effectively. Northern Lincolnshire and Goole Hospitals NHS Foundation Trust also recently upgraded the security of the drug cabinets at Scunthorpe General Hospital to PROTEC2 CLIQ, resulting in significant cost and timesavings, and a HSJ Awards shortlisting. “We’re really proud to be receiving this high level of recognition within the healthcare industry for our PROTEC2 CLIQ system, from both the CQC and HSJ.